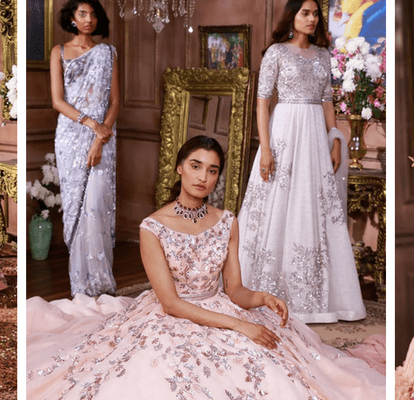 All About Neeta Lulla's S/S 2018 Collection And Her New Flagship Store In Delhi! 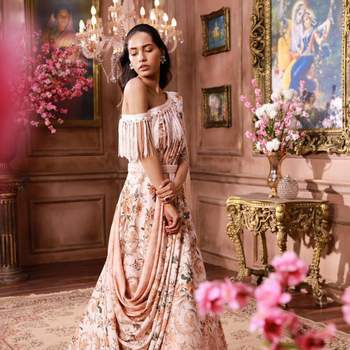 From sumptuous fabrics to dramatic silhouettes to embellished drapes, the collection underscores the flawlessness of the quintessence of beauty. 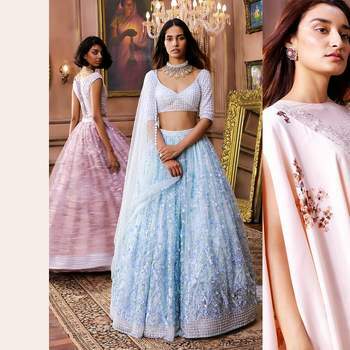 Have a look at her magnificent pastel collection! 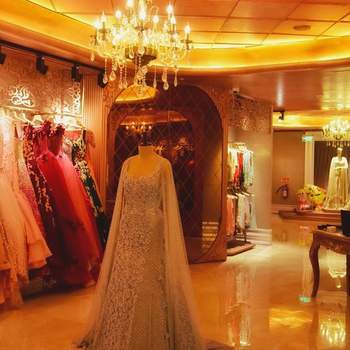 Eminent fashion designer Neeta Lulla, well known for her bridal couture, has enthralled all the Delhi brides with her first ever trousseau store in DLF Emporio at Vasant Kunj. 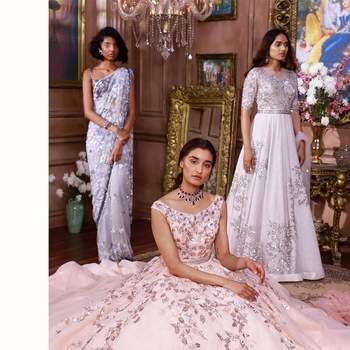 Neeta Lulla opened its shutters on April 14, and since then, she has been making headlines for it and her S/S 2018 bridal collection. 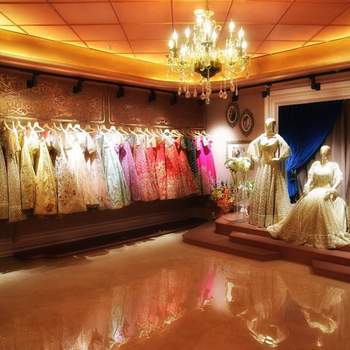 Interior designer Rajeev Achari has made sure that the store’s interiors comply with the exquisite style that Neeta Lulla’s creations exude– amalgamation of elegant traditional fashion and tasteful contemporary cuts. 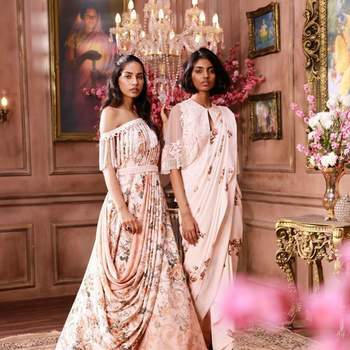 Inspired from traditional Indian heritage and Victorian grandeur, the store’s appearance is enhanced with vintage chandeliers, rich tapestries and Victorian furniture. 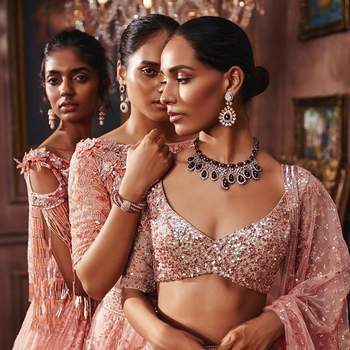 “It’s like the birth of a new baby… a lot of mixed feelings of excitement, anxiety, stress; but somewhere, this complements the inner creative instinct I possess.”, says Neeta Lulla when talking about her new store to Vogue India. The store is predominantly stocked with her new collection, La Belle Époque. The Spring/Summer’18 is inspired from the Edwardian era. 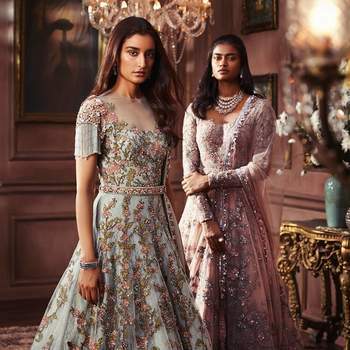 The collection is an elegant blend of Indian craftsmanship and modern tailored silhouettes, something that Neeta Lulla makes sure her designs exhibit. 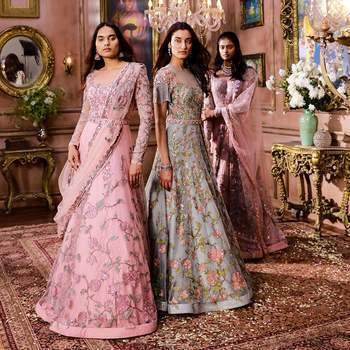 From sumptuous fabrics to dramatic silhouettes to embellished drapes, the collection underscores the flawlessness of the quintessence of beauty. 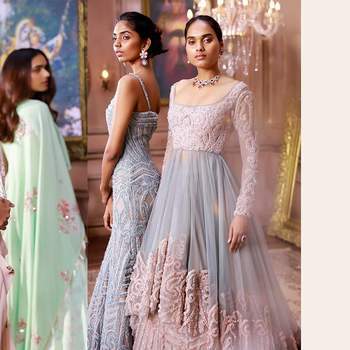 Have a look at her magnificent pastel collection! Check out this guide of top 20 chandelier decors, which will be a treat to your eyes, and also an ultimate unique inspiration for you decor. Shyamalee Thevar Events presented us with a striking candle decors album, which is perfect for your Diwali-esque wedding decor. Save the album and thank us later! 20+Not-So-Basic Bridal Bun Hairstyles For A New Age Bride! 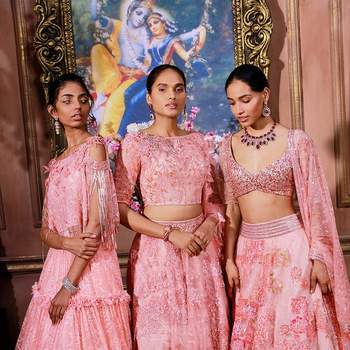 The master of the wedding makeup, Sahibba K Anand, presents us the 10 unique breathtakingly beautiful bridal bun's hairstyles that any bride can choose from these. Have a look and thank us later! Zankyou India and Runway Rising team up for their annual show on the 4th of April 2018. Here's a low down on the lady behind the show and she tell us what you can expect to fill your trousseau trunks with! At Zankyou, we are celebrating our tenth anniversary! We are showing an overview of our history, and giving thanks to all of those who have helped us to grow during the last decade - from couples all over the world, to the companies who have made their weddings extraordinary. 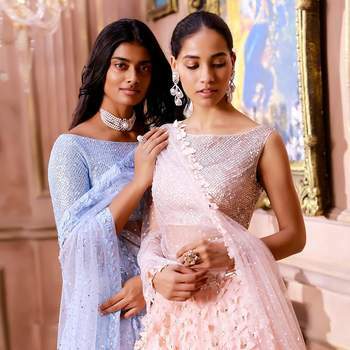 My Best Friend & Me is one of the most sought-after retail exhibitions in New Delhi, hosting two main events in March and August every year. With the event around the corner on the 30th of March, we thought we’d give you the low down on the husband and wife who organise the show and the trendy designers you can fill your closet with. 30th March 2018, The Lalit New Delhi. 11 AM to 8 PM. Breaking News: Stephen Hawking, dies at the age of 76 at his home in Cambridge. Take a trip down memory lane and read his story of love. Here we have the winners of ZIWA 2017! ZIWA: Zankyou International Wedding Awards. 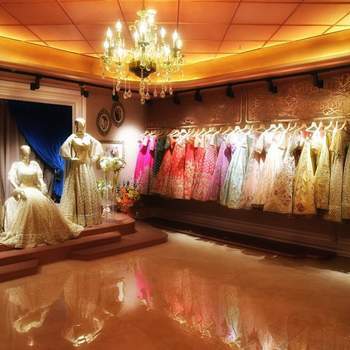 This is the event that celebrates the best wedding industry professionals in India. See who was voted for as the best wedding vendor in your city. 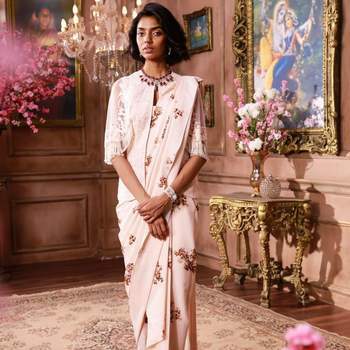 Would you like to contact Neeta Lulla?